Please join us at the Central Library for this exclusive opportunity for small businesses to meet with lenders, government and small business financing experts! Attendees will have the opportunity to attend up to 8 one-on-one appointments with participating lenders. This event is free, but space is limited. 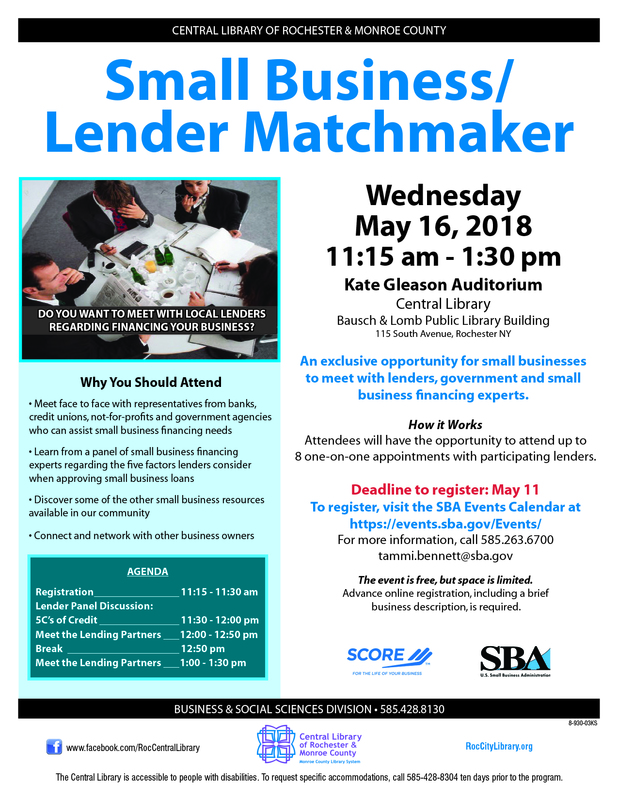 To register, visit the Small Business Association (SBA) events calendar at https://www.eventbrite.com/e/small-business-lender-matchmaker-rochester-ny-tickets-45102552950. For more information, call (585) 263 - 6700 or email tammi.bennett@sba.gov.